A day much like yesterday, poor conditions for ringing but we gave it a try because of a visiting school class. The wind turned SE and increased to 10-12 m/s, a few light rainshowers. Only those nets most protected from the wind was in use 07-15. Netmeter hours approx. 1200. Playback on Garden Warbler and Yellow-browed Warbler during the night, and Meadow Pipit for a few hours in late morning. Ringed: Meadow Pipit 10, European Robin 1, Redwing 1, Song Thrush 1, Reed Warbler 1, Garden Warbler 2, Greenfinch 1. Total = 17. Also 6 controls. Observations: Yellow-browed Warbler 1 in the garden. 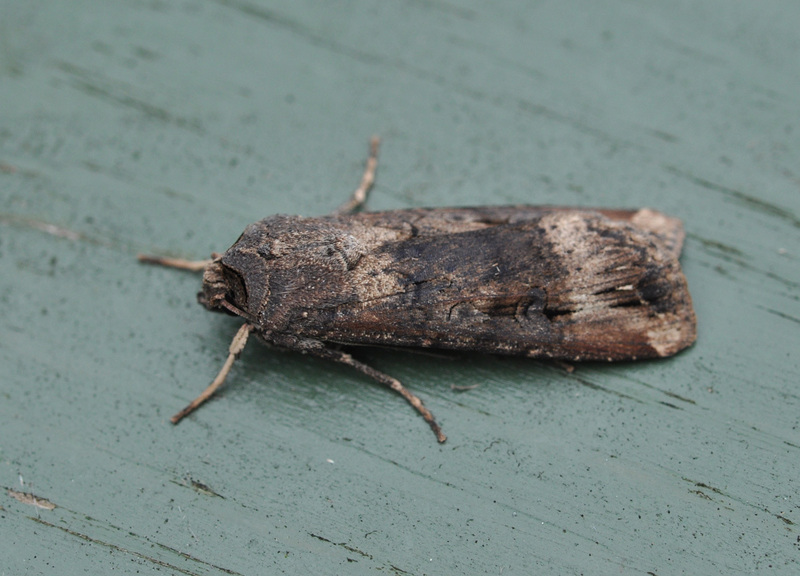 Dark Sword-grass, consideret a migrant species. 10 last night was a very good catch of this species. Langvingejordfly. 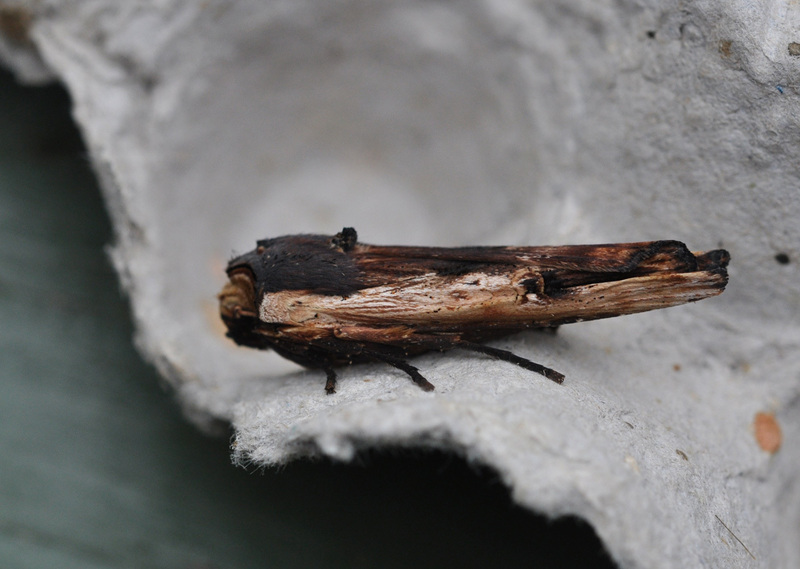 Red Sword-grass, a scarce species that winters as an adult. Svartkantkvistfly. 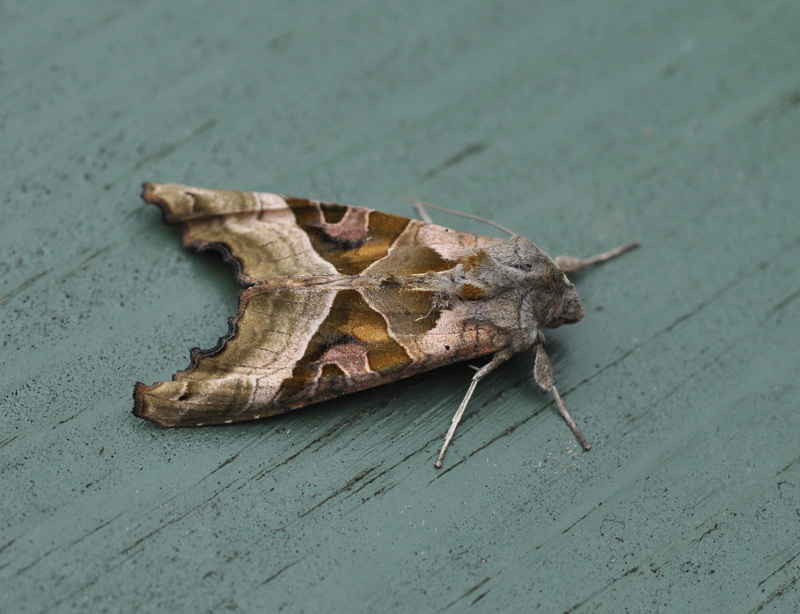 Angle Shades, quite common in late autumn. Taggvingefly. Frosted Orange, a true Revtangen speciality. 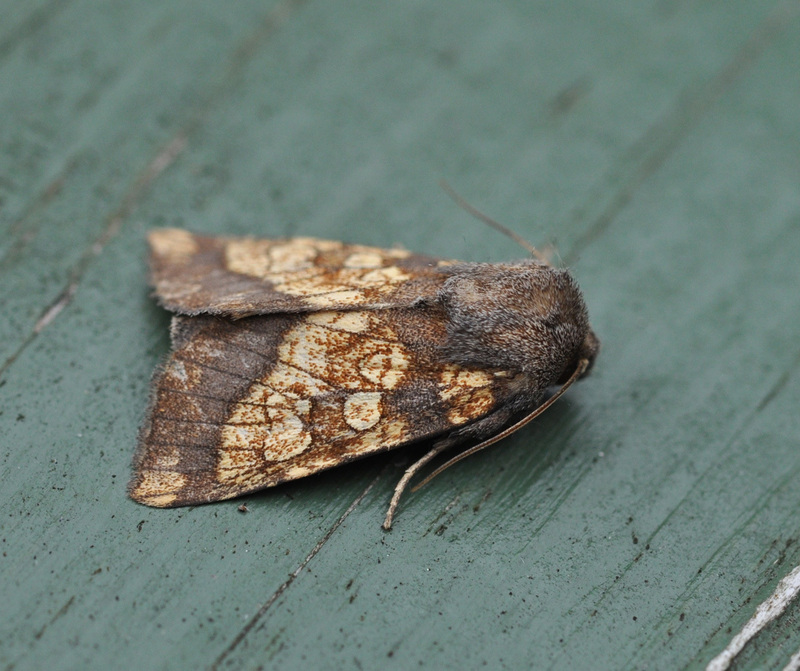 This is the 16th individual recorded in Western Norway, and the 15th at Revtangen! Tistelstengelfly. Haavard Husebö and Alf Tore Mjös. We had a visit from 20 students and 1 teacher from Sandnes VGS.